We were out together last wkend and I'm due an upgrade so had a play with her phone, when I started tapping the screen and snapping pictures she snatched it back saying 'how did you do that?'. It was then that I realised that the iPhone's camera tricks are quite well hidden, now don't get too excited yet, there's only a couple of them, but they can make a huge difference to your photos! 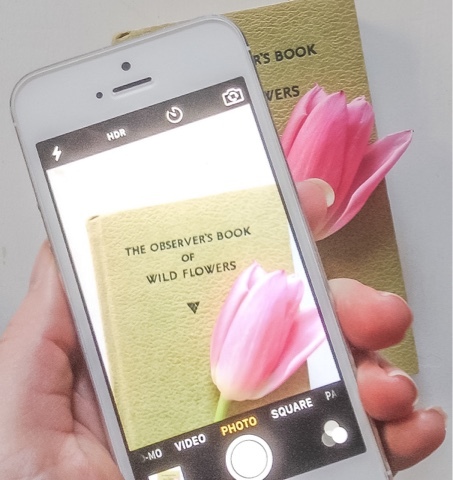 First open the camera on your phone and find a subject to snap like a flower or a tea cup. When you take a picture you'll see a box appear and focus on an object, now if you tap different areas of your screen you will see the box move, this does two things- adjusts exactly what you want the camera to focus on, and depending on shadows can lighten and darken your image. The next tip is with that box again, tap your screen- see the box? There's a sun next to it, slide your finger up and down over the sun, this increases brightness. For flat lay shots I like to turn it on its side as I like a wide picture, but if you like things neat then the square mode gets everything in nicely too. Hope you've found this helpful.